The United States is planning a military exercise that will weave its troops through Eastern Europe before they arrive at their home base in Germany – a show of force intended to reinforce its commitment to the Baltic states. 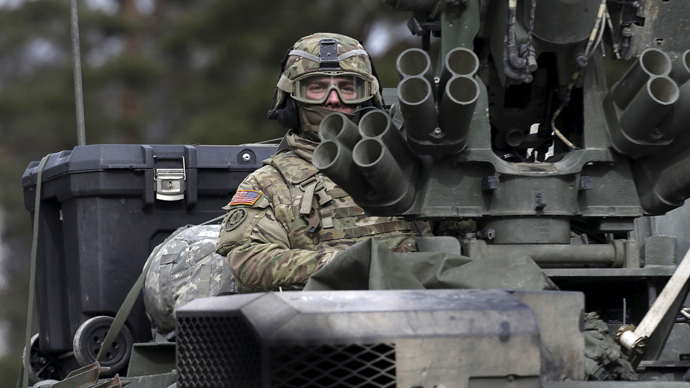 Comprised of the US Army’s 2nd Cavalry Regiment, the convoy will trek some 1,100 miles to Vilseck, Germany after its training mission concludes in Poland, Lithuania and Estonia, Stars and Stripes reported. Beginning on March 21, the troops will move out from these locations and run through Latvia, the Czech Republic and then on to Germany by April 1. The exercise, called a “Dragoon Ride,” will involve the military’s Stryker vehicles – which the US is expected to station in Europe – and stop in a new locale every night. These vehicles are typically transported by rail, but the decision to convoy them to Germany is meant to demonstrate American and NATO commitment to the region. There is another angle to the Dragoon Ride, according to the Army’s top commander in Europe, as it will show off the ability of the US to easily move military units throughout Europe. Speaking with Defense News, Lt. Gen. Ben Hodgesnoted recent Russian exercises moving tens of thousands of troops and said that America’s similar move will help reassure allies. Additionally, troops will use their overnight stays to meet the local communities housing them. “Soldiers and their leaders will have numerous opportunities to engage with local communities along the route, deepen their appreciation for the cultural diversity within the alliance and enhance the relationships that are essential to building and maintaining mutual admiration, respect and trust among allied militaries,” Childs said. The move comes shortly after the one-year anniversary of Russia’s annexation of Crimea, with tensions between the Kremlin and the West remaining high over the conflict in Ukraine. The US and Europe claim Russia is fueling separatists in eastern Ukraine with supplies, support and troops, while the Kremlin maintains it’s not involved.